The Spanish side look likely to face Liverpool in the Champions League semi-finals. If Ole Gunnar Solskjaer was unsure of just how big his task is as Manchester United manager then he will certainly be aware now. 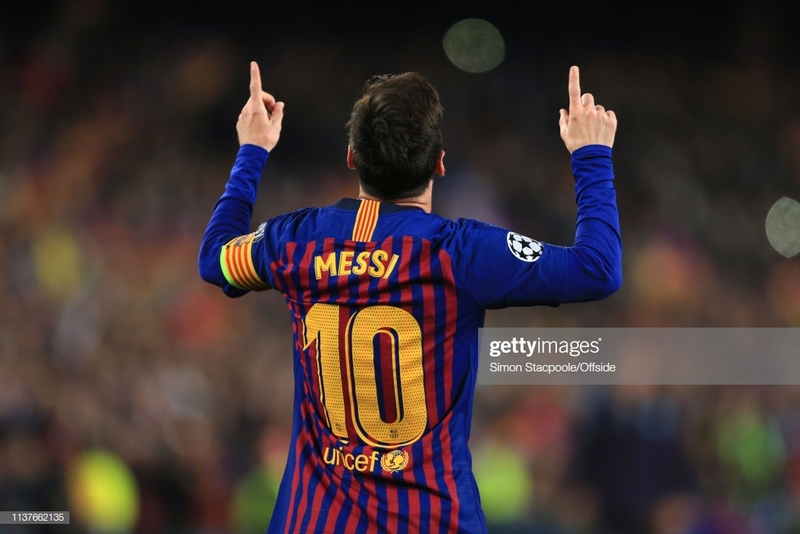 The Red Devils went crashing out of the Champions League quarter-finals after a Lionel Messi double, subjecting United to their fifth defeat in seven matches. No repeat of the heroics in Paris. Within a minute of kick-off at the Nou Camp, a repeat of that magical night just a few weeks ago looked possible. Marcus Rashford, playing as a split striker with Anthony Martial, raced clear from a Paul Pogba through ball, clipping his strike onto the crossbar. VAR played a critical, if somewhat controversial, role in the quarter-final but it proved to be an adequate asset on the ten minute mark in this contest. The hosts thought they had won a penalty only for the decision to be correctly overturned as Fred clearly won the ball. There had been talk pre-match of Rashford linking up with Messi at the Catalan club in the summer. If such a move were to happen, the combination looked as if it would be devastating on this evidence. Rashford continued to pose problems to the Barca back four before Messi worked his magic at the other end. Ashley Young lost the ball at left-back under a heavy press, before the Argentine weaved past Fred. Gliding into space, Messi let rip with a trademark curling effort to send Barcelona ahead on the night. Just four minutes later, he killed the contest. Again United were masters of their own downfall. Fred is always susceptible to an error and lost the ball 30 yards from goal to the one man you don't want to give possession to. Messi drove forward before curling a strike with his right foot. It should have been comfortable for David De Gea but squirmed under him as Barcelona went 3-0 up on aggregate. Game over. Draped in smiles, the home side controlled the contest. Within minutes, Messi was almost at it again, this time volleying over with almost impeccable technique. Whilst United were subjected to long range efforts from their star man, Pogba, Messi continued to be the focal point of the home side. A deft free-kick was glanced on by Ivan Rakitic but only warmed the hands of De Gea after that earlier mishap. Barcelona have scored more goals from set-pieces than any other side in La Liga. Yet that stop put United's goalkeeper in good stead for a great save just before the break. After turning Phil Jones inside out, Messi released the marauding Jordi Alba who pulled the ball across to Sergi Roberto. Stretching but looking destined to score, his effort was somehow clawed away by De Gea. It was all about possession football in the second half for Barcelona but you felt they could turn on the style at any moment. And that they did. Messi and Alba linked again before the latter laid the ball to Philippe Coutinho. Chris Smalling gave the Brazilian far too much space and he curled a perfect effort into the top corner. No chance for De Gea this time. Such was the confidence of Messi that he almost completed his hat-trick moments later with an overhead kick, the shot drifting just wide. 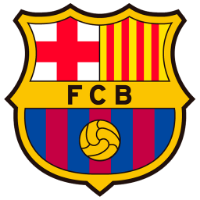 A raft of substitutions followed as Barca's tempo slowed. Unusually overplaying in their final third, Jesse Lingard almost hit the back of the net with a thunderous strike of his own. That moment was close but substitute Alexis Sanchez went even closer. Diogo Dalot, also introduced from the bench, picked out the Chilean who saw his header somehow kept out by Marc-Andre ter Stegen after quickly changing his direction of movement. Either side of that strike, Luis Suarez clipped over and Messi was thwarted his hat-trick by a late De Gea stop. But on the evening that Cristiano Ronaldo slipped out with his side and Pogba was overshadowed once again, Messi continued to elevate himself as one of the greatest of all time. How many chances can Fred have? It is almost becoming a feature of his game. Heavy touches ten yards shy of his penalty area before slipping and losing possession. Messi took advantage and so many other players will if Fred does not improve his game. If he is not out of position or failing to beat the first man with his crosses, Young is often getting caught out on the ball deep in his own half. Is this really the man to push United forward as captain? When will Messi's form deteriorate? How many years has this guy got left? He is 31 but still playing like he is 21. Magical.